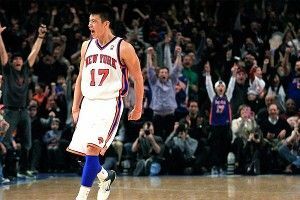 Lost in the Jeremy Lin era was one of the luckiest beneficiaries of Linsanity: no, not Mike D’Antoni, James Dolan, or Tyson Chandler, but MSG (and ESPN/ABC) announcer Mike Breen. We talked about these last three crazy weeks for the Knicks and that dovetailed nicely into a bigger discussion about the 2012 NBA season and the fact that Breen calls Mark Jackson sobbing every night at 2:30 a.m., wondering what Breen did wrong. Then, at the 36-minute mark, my buddy JackO made his long-awaited return to discuss — what else — spring training, as well as the Yankees, the Red Sox, the Minka-Jeter romance and the eerie similarities between Bobby Valentine and a certain politician. You can listen to this podcast on the ESPN.com Podcenter or on iTunes.